As you can tell from the first picture I am sharing, this little guy was so easy and sweet to work with. He went right to sleep and stayed asleep almost the whole session at my studio here in Loveland, Ohio. Owen posed so easily that he really made my job a breeze. 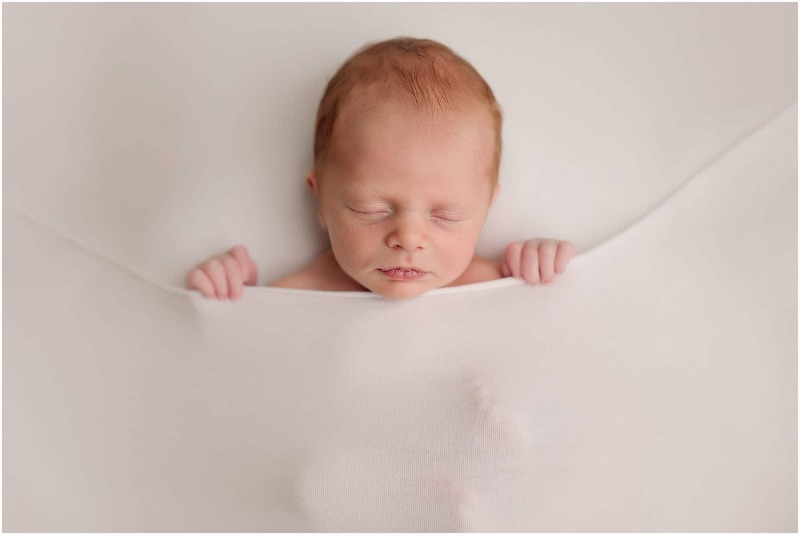 I loved doing the tucked in pose with him on the white background, I think it really show off just how perfect and tiny little newborn are. I’m quickly filling up my November and December newborn calendar, so don’t wait to schedule your newborn session with Cincinnati’s Best Newborn Photographer, Samantha Sinchek Photography! Fill out the contact form today and we can get the process started!